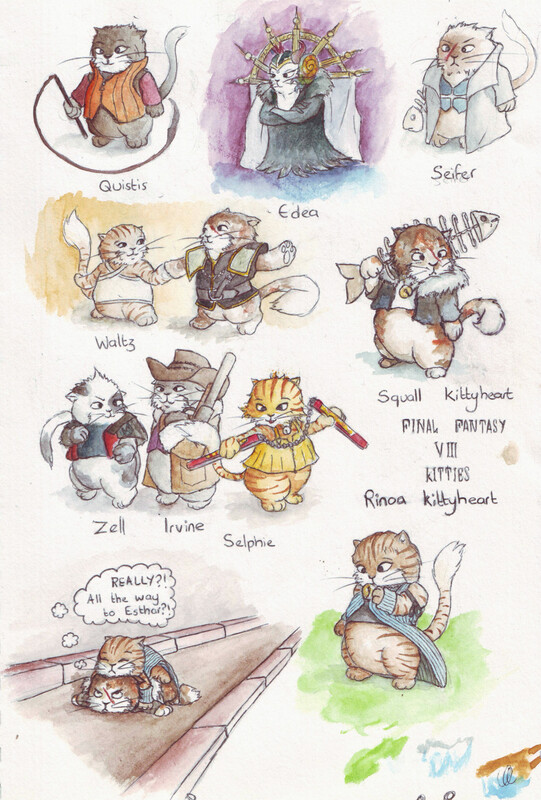 I finally (hah, pun not intended) finished my homage to Final Fantasy 8, Kitty style. This was a real labour of love, I really struggled to complete the page but I am so happy that I did. My favourite drawing chunks are dancing Squall kitty, Squall kitty with fish blade and Rinoa Kitty squashing Squall Kitty on route to Esthar. I will post each chunk, one at a time, one day at a time, so you can get a closer look.